22 Years old Mozillan, Designer and Developer. I love creating graphics and dope looking websites :b. I believe that designing is a magical Art and luckily I have been blessed with this art. 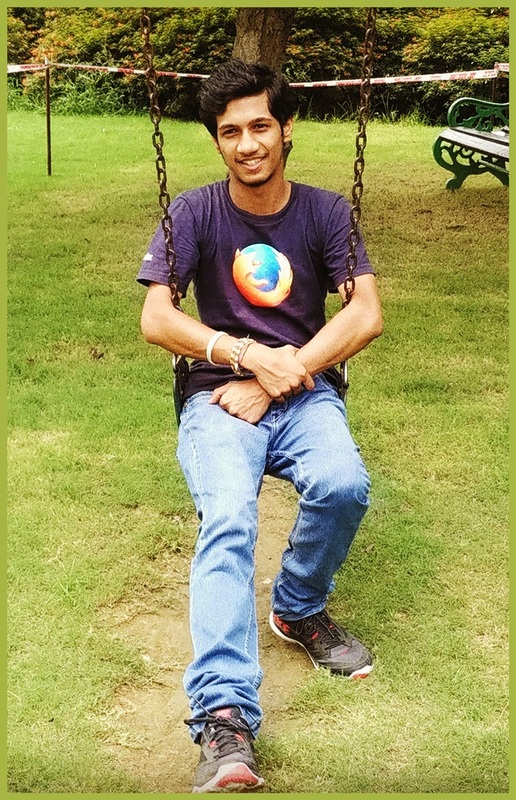 I believe in Open Source and I'm a Core Contributor of Mozilla Delhi Community known as Mozpacers since May 2015. I love travelling. Whenever I go to some Holy place I bring bracelets or Prayer Beads from there and wear them till they break. Checkout my right arm in the picture :b.
Darpan is the official Magazine of our college. I was in the core Designer team of the Magazine and designed nearly 50% pages of the magazine. 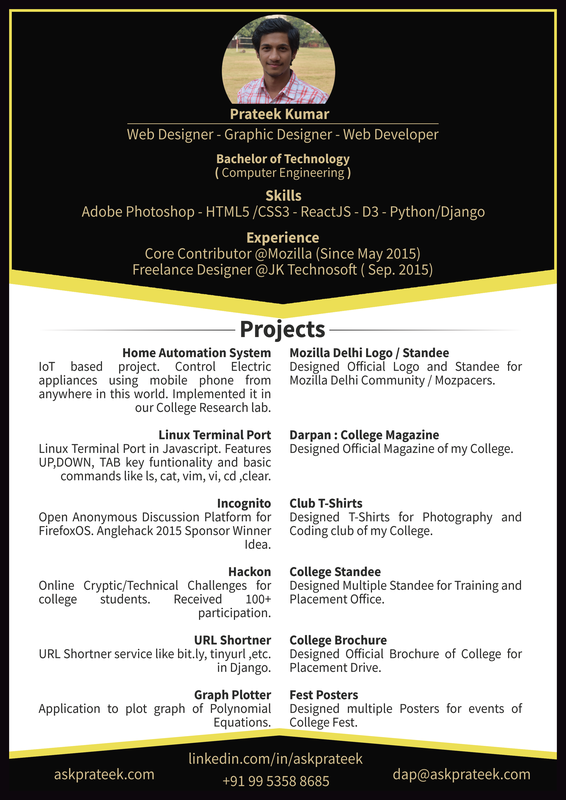 Made previous portfolio in Adobe Muse. Designed T-Shirt for Photography and Designing club of our College. Designed T-Shirt for Coding club of our College. 2. Home Security - Complete home lockdown and notification in case of unauthorized access to home. Open Anonymous Discussion Platform for FirefoxOS. Anglehack 2015 Sponsor Winner Idea. Online Cryptic/Technical Challenges for college students. Students have to solve 10 different technical challenges to win the game. TAB, UP and DOWN Key Functionality implemented. Build a Django based URL shortening Service in summer vacations in Hackathon Weekend challenge. Online Treasure Hunt Application in which students have to solve the mysterious question on the level which they are on. Made Twice in Python and PHP.